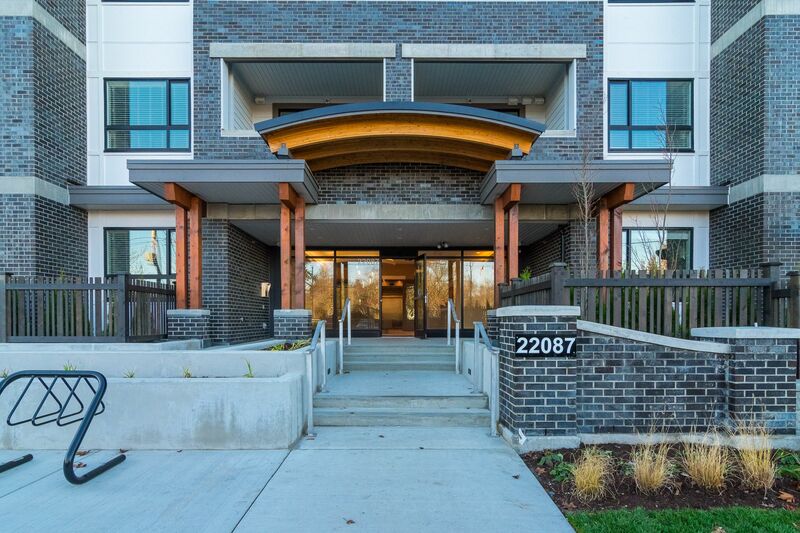 BELMONT by INFINITY HOMES...Brand new, well-appointed 2 Bedroom + Den Home with a COVERED GARDEN PATIO located in a quiet & private location of the building in executive Murrayville! Gorgeous white & bright kitchen features ample cabinet & counter space, pantry cupboard, High-End S/S appliances incl Gas Range & Chimney Hood Fan, island open to living area (perfect for entertaining) & Quartz countertops. Spacious Master Bdrm includes huge walk-in closet & ensuite w/dbl sinks & frameless glass shower. The 9’ ceilings, tons of pot lighting & over-sized windows allow for max light. Upgrades: Den sliding barn door, laminate wide plank floors throughout, Kitchenaid S/S dishwasher. Bonus features: air conditioning, heat recovery ventilator, natural gas BBQ outlet, 2 parking stalls & storage locker. Common areas incl playground & an amenity lounge w/Big screen TV, pool table & walkout patio. Ultimate Murrayville location; walk to WC Blair Rec Centre, Hospital, James Hill Elem, Shopping & more. Move-in ready & all warranties included. Location: Conveniently Located: - Walk to WC Blair Recreation Centre, Shopping, Hospital, James Hill Elementary, Murrayville Town Pub, Historic Murrayville 5 Corners. - Easy access to Hwy 1, Willowbrook Mall Shopping Centre and US Border!